.Suitable for home broadband, e-government and enterprise access with integrated access demands of broadband, voice,data and video etc. .Providing completeseries of FTTH solutions for pure data, doubleplay and triple play services, both indoor and outdoor types can be applied to meet the different application environment. .Support user-friendly GUI with plug-in and play capability instead of field configuration. .Carrier-level reliability in hardware/,software and other system design to fully guarantee the normal operation of equipment. Dear friends, please confirm with us before you pay. 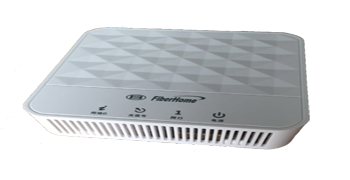 AN5506 GPON SFU/ONT series equipments are manufactured and developed by FiberHome, which is a leader in FTTH/ FTTO broadband access network field. They are properly manage able added with features such as high-bandwidth, high reliability, low power consumption and satisfy the users requirement to access broadband, voice, data and video etc. Suitable for home broadband, e-government and enterprise access with integrated access demands of broadband, voice,data and video etc.